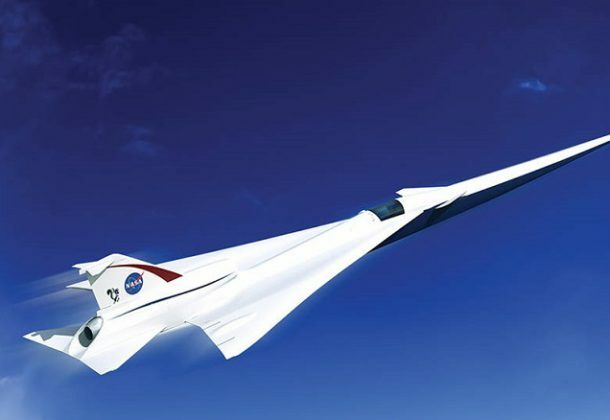 Earlier this year, NASA awarded Lockheed Martin a contract worth nearly $250 million to develop an aircraft capable of reaching supersonic speed without creating the sonic boom that comes with breaking the sound barrier. Now the company’s experimental supersonic plane has officially entered production, reports CNBC News. Deputy DefSec Patrick Shanahan said that he expects a lower defense budget would fetter some of DoD’s goals, reports Federal News Radio. DoD is expecting feedback this week from the military services for what a $700 billion budget would look like in 2020. Defense News reports the Pentagon’s first-ever audit discovered flaws in how it handles IT processes and challenges with its internal tracking databases, but did not discover any major cases of fraud or abuse. Joint Chiefs Chairman Gen. Joseph Dunford says the military needs Congress to provide sustained defense spending to maintain its eroding military edge against Russia and China, reports Defense News. Gen. Dunford also said the US needs to start innovating. “We can’t buy our way out of many of the challenges we have, we have to think our way out of them.” A report issued last week concludes America’s military superiority has “eroded to a dangerous degree,” leaving the US in a “crisis of national security,” reports Defense News. Cargo is headed to the International Space Station after being launched aboard an Antares 230 rocket from NASA’s Wallops Flight Facility, reports UPI News. Northrop Grumman’s Cygnus spacecraft lifted off at 4:01 am Saturday. SpaceX launched another communications satellite, this time for the Middle Eastern nation of Qatar, on Thursday, UPI also reports. SpaceX’s Falcon 9 rocket launched from Kennedy Space Center. DefSec Jim Mattis has submitted a report to Congress on the US relationship with Turkey that could lift a freeze on transfers of F-35 joint strike fighters to the NATO ally, reports Washington Examiner. Australia has broken ground on a new turbine engine maintenance facility in Queensland, reports Airforce Technology. The site will help support in-country sustainment of the Royal Australian Air Force’s F-35 Lightning II jets. The Air Force has chosen Tinker Air Force Base in Oklahoma to maintain and sustain the B-21, and Edwards Air Force Base in California to handle testing and evaluation of the bomber, reports Air Force Times. Great Britain has signed a multi-million-dollar contract for 17 additional F-35B Lightning II jets, reports Naval Technology. This order will double the UK’s current F-35 fleet to 35 by the end of 2022. An Asia-Pacific summit ended over the weekend with the US and China failing to agree on language in a final statement, reports Bloomberg, the latest sign that a trade war between the two countries won’t end anytime soon. In the past decade, Norfolk Naval Shipyard has suffered nine major floods that have damaged equipment used to repair ships, and the flooding is worsening, according to a joint report by NBC News and InsideClimate News. But the shipyard now faces its greatest existential threat: rising seas and extreme weather driven by climate change. Arora Group Inc., Gaithersburg, Maryland, was awarded an $85,457,545 firm-fixed-price contract to provide personal and non-personal services. Bids were solicited via the internet with 25 received. Work locations and funding will be determined with each order, with an estimated completion date of Sept. 30, 2023. US Army Health Contracting Activity, San Antonio, Texas, is the contracting activity (W81K00-19-D-0002). URS Federal Services Inc., Germantown, Maryland, was awarded a $20,000,000 modification (0002 36) to contract W52P1J-12-G-0028 for logistic support services, maintenance, supply and transportation. Work will be performed in Mannheim and Dulmen, Germany, with an estimated completion date of Nov. 20, 2021. Fiscal 2019 operations and maintenance Army funds in the amount of $20,000,000 were obligated at the time of the award. US Army Contracting Command, Rock Island Arsenal, Illinois, is the contracting activity. Northrop Grumman Systems Corp., Herndon, Virginia (N00189-19-D-Z006); Capstone Corp., Alexandria, Virginia (N00189-19-D-Z007); Science Applications Information Corp., Reston, Virginia (N00189-19-D-Z008); General Dynamic Information Technology, Fairfax, Virginia (N00189-19-D-Z009); Booz Allen Hamilton Inc., McLean, Virginia (N00189-19-D-Z010); and CALIBRE Systems Inc., Alexandria, Virginia (N00189-19-D-Z011), are awarded an estimated $577,471,075 in multiple award cost-plus-fixed-fee, indefinite-delivery/indefinite-quantity contracts that will include terms and conditions for the placement of both cost-plus-fixed-fee and firm-fixed-price task orders to provide Joint Force development and training support services to enhance and improve the joint fighter’s ability to adapt and overcome an ever-evolving threat environment in support of the Joint Chiefs of Staff. The contracts will run concurrently and include a 60-month base ordering period with an option for an additional six-month ordering period. If the option period is exercised, the total estimated value of the contracts combined will be $636,917,163. Work will be performed at government facilities in Suffolk, Virginia (90 percent); and at various contractor locations throughout the US (10 percent). The percentage of work at each of the contractor facilities cannot be determined at this time. The base ordering period of the contract is anticipated to begin May 2019 and is expected to be completed by April 2024; if all options are exercised, the ordering period will be completed by October 2024. Fiscal 2019 operations and maintenance (Defense Acquisition) funds in the amount of $60,000 will be obligated ($10,000 on each of the six contracts to fund the contracts’ minimum amounts); and funds will expire at the end of the current fiscal year. This contract was competitively procured for the award of multiple contracts pursuant to the authority set forth in Federal Acquisition Regulation 16.504. The requirement was solicited through the Federal Business Opportunities website, with eight offers received. 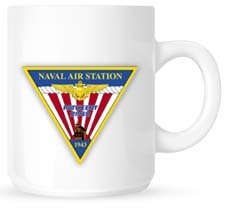 Naval Supply Systems Command Fleet Logistics Center Norfolk, Contracting Department Philadelphia, Pennsylvania, is the contracting activity. Colonna’s Shipyard Inc., Norfolk, Virginia, is awarded an $11,884,493 firm-fixed-price contract for a 90-calendar day shipyard availability for the post shakedown availability and dry docking of USNS City of Bismarck (T-EPF 9). Work will include clean and gas-free tanks, voids, cofferdams and spaces, heater exchangers; modify fore peak structure, perform annual stern ramp maintenance, install heat tracing and thermal insulation on piping, perform annual maintenance of ride control system, bilge cleaning, reduction gear maintenance, self-contained breathing apparatus annual certification, high expansion foam system certification, heating, ventilation, and air conditioning system annual maintenance, annual sewage plant maintenance, docking and undocking, evacuation system annual certification, waterjet hydraulics maintenance, and installation of the adaptive force package. The contract includes options which, if exercised, would bring the total contract value of this contract to $13,593,593. Work will be performed in Norfolk, Virginia, and is expected to begin Jan. 7, 2019, with completion by April 6, 2019. Fiscal 2019 operations and maintenance funds in the amount of $13,593,593 are obligated at the time of award. Contract funds will not expire at the end of the current fiscal year. This contract was competitively procured as a small business set-aside, with more than two companies solicited via the Federal Business Opportunities website, with two offers received, with two found to be in the competitive range. The Navy’s Military Sealift Command, Norfolk, Virginia, is the contracting activity (N3220519C6702). 3 Phoenix Inc., Chantilly, Virginia, is awarded a $10,271,000 cost-plus-fixed-fee, cost only modification to previously awarded contract N00024-13-C-6264 to exercise an option for engineering and technical services and other direct costs in support thereof for the Small Business Innovative Research (SBIR) Phase III contract, topic number N04-138-Real-time Data Fusion and Visualization Interface for Environmental Research Data. Work will be performed in Chantilly, Virginia (40 percent); Wake Forest, North Carolina (40 percent); and Hanover, Maryland (20 percent), and is expected to be completed by October 2019. Fiscal 2017 shipbuilding and conversion (Navy); fiscal 2018 and 2019 other procurement (Navy); and fiscal 2018 research, development, test and evaluation (Navy) funding in the amount of $6,753,273 will be obligated at the time of award and funding in the amount of $724,610 will expire at the end of the current fiscal year. The Naval Sea Systems Command, Washington, District of Columbia, is the contracting activity. Lockheed Martin Corp. Mission Systems and Training, Baltimore, Maryland, is awarded $7,105,135 for a firm-fixed-price contract for the manufacture of spare and repair parts used in the MK-41 Vertical Launching System. This is a one-year contract with no option periods. Work will be performed in Ventura, California (85 percent); and Baltimore, Maryland (15 percent), and will be completed by November 2019. Fiscal 2018 and 2019 working capital funds (Navy) in the amount of $7,105,135 will be issued as a delivery order that will be awarded concurrently with the contract. Funds will not expire at the end of the current fiscal year. One company was solicited for this non-competitive requirement and one offer was received in response to the original solicitation in accordance with 10 US Code 2304(c)(1). Naval Supply Systems Command Weapon Systems Support, Mechanicsburg, Pennsylvania, is the contracting activity (N00104-19-D-ZD21).